Speaking Spanish with a Polish-Uruaguayan-Texas accent | Walk with us! Click HERE to view Br. Andy’s video of OLG’s Opening Mass. When asked to send something for the province blog, Br. 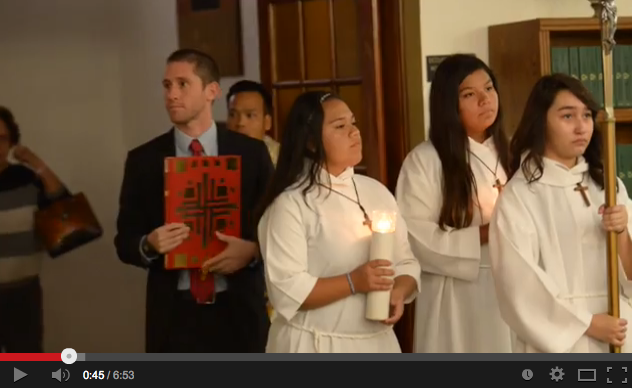 Andy shared a video that he took of the Opening Mass at Our Lady of Guadalupe School. The photos below were taken by Br. 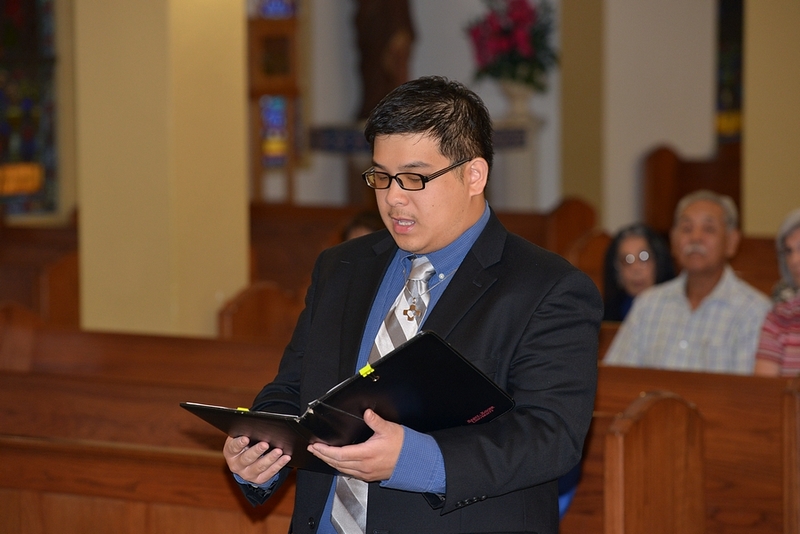 Andy of Frater Joseph Vu’s vow renewal. Br. Andy Gancarczyk, SCJ, has been a part of the SCJ community at Our Lady of Guadalupe, Houston, since early this summer. Originally from Poland, Br. Andy served as a missionary in Uruguay for five years before coming to the United States to put his Spanish language skills to use in Houston. After a couple of months at OLG, Br. Andy writes that “a Texas accent is now heard in my Spanish and I fear that I am now losing all hope of mastering English! When it comes to Mexican food, sometimes I think it gives me some crazy dreams but generally I like it and I feel great being here in Houston at Our Lady of Guadalupe. If a picture really is worth “a thousand words,” Br. 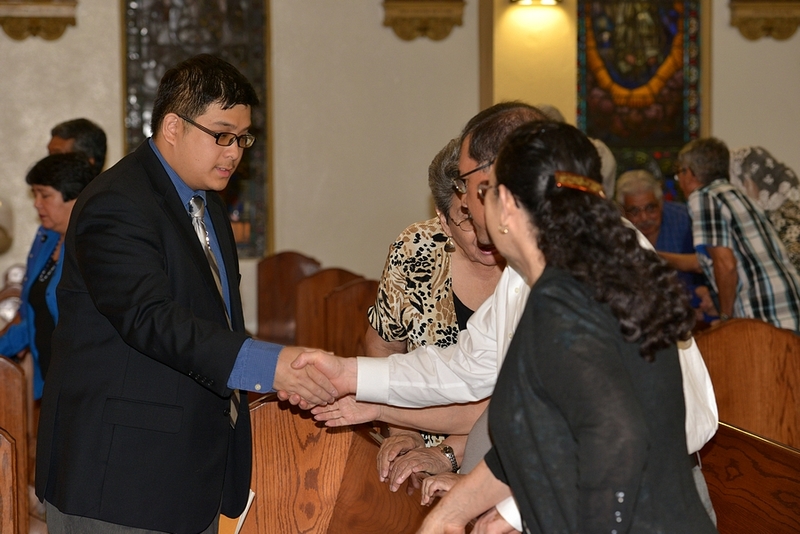 Andy sent us several thousand with a few photos from Frater Joseph Vu’s vow renewal ceremony, along with a video from OLG’s first Mass of the new school year. 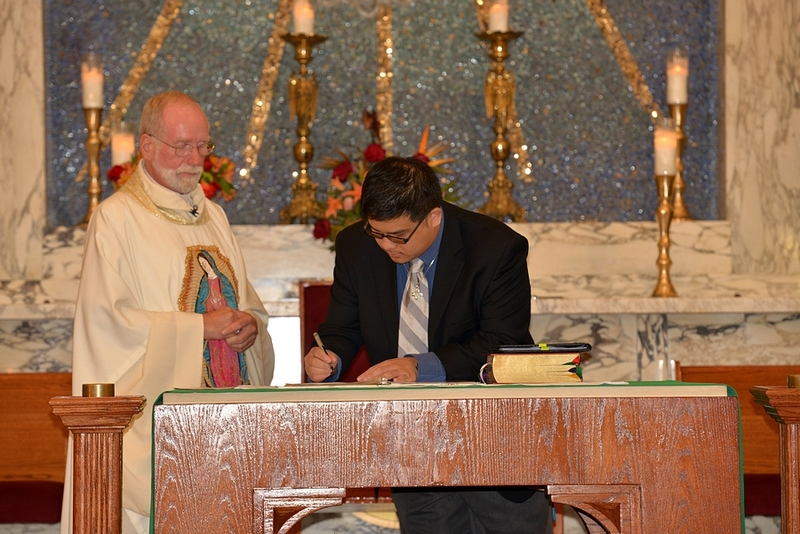 Joseph signs his vow renewal while Fr. Ed Kilianski, pastor of OLG, looks on. Joseph is congratulated on his vow renewal.